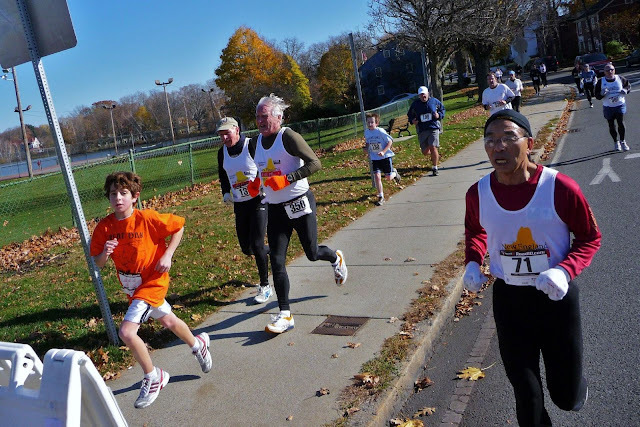 The Run for All Ages is a flat, fast 5K road race around Lake Quannapowitt in Wakefield, MA. 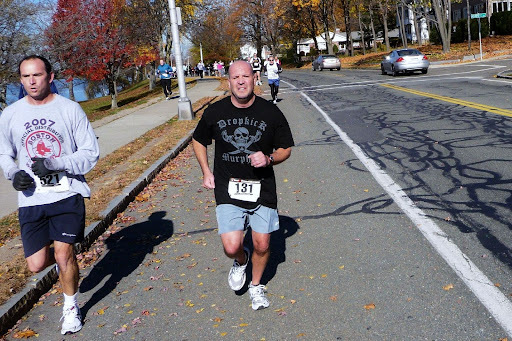 In this blog entry you'll see photos I took of the other runners as we ran around the lake. The "Run For All Ages" is aptly named, drawing runners whose ages range from the single digits to well north of 60. I ran with a camera, and took pictures as I ran. (Yes, I took photos as I ran. I didn't stop or slow down. After all, I was in a race!) If you click on the “Play” button in the center of the photo below, you can view my slideshow, and get a first-person experience of the 2009 Run for All Ages in Wakefield, MA.